Marilou Danley was out of the country when Stephen Paddock carried out his rampage. The girlfriend of Stephen Paddock, the gunman who opened fire on a country music festival in Las Vegas earlier this week, said Wednesday that she had no warning about his plans to carry out the massacre. Danley was out of the country when Paddock, 64, carried out his rampage, officials said. She returned late Tuesday to Los Angeles, where FBI agents interviewed her on Wednesday. 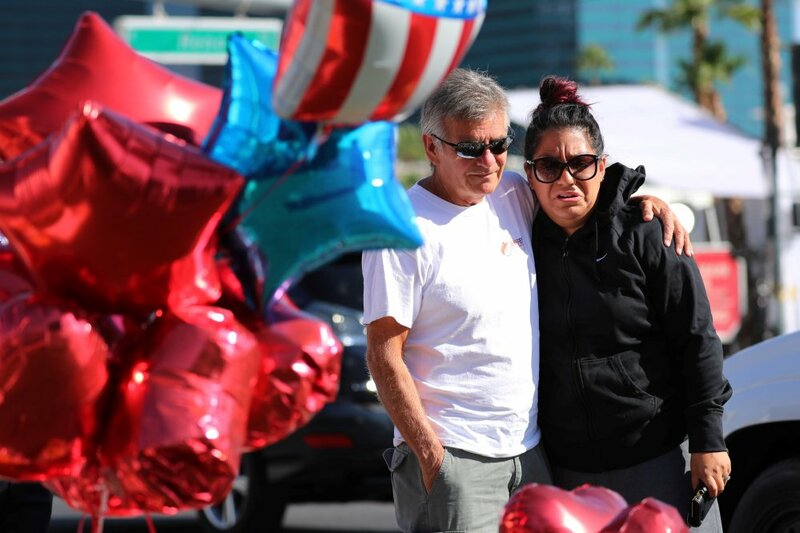 “I am devastated by the deaths and injuries that have occurred and my prayers go out to the victims and their families and all those who have been hurt by these awful events,” Danley said. Danley said that she left the country because Paddock bought her a ticket to visit her family in the Philippines. While there, she said, Paddock wired her money that he explained was meant to help her purchase a home for Danley and her family. Danley, who pledged to cooperate with authorities, is viewed by officials as a key part the investigation into the deadliest mass shooting in modern American history. Paddock brought a small arsenal into a two-room suite on the 32nd floor of the Mandalay Bay Resort and Casino and began raining bullets on the thousands of concertgoers far below. Authorities have described a chilling level of preparation but have been unable to discern a motive for the shooting. Paddock, who had set up cameras so he could monitor the approach by police, turned a gun on himself as a SWAT team closed in. Danley is considered a critical witness in trying to decipher Paddock’s motive, according to a person familiar with the probe. Police have described her as a “person of interest,” though they have not suggested that she is considered an accomplice or involved in any way. Federal agents – who are assisting the Las Vegas police in the investigation – have essentially two critical questions for Danley: Did she have any idea what motivated him, and did she have any knowledge of what was about to take place and not alert authorities? That was deemed to be the case with Noor Salman, the wife of the Orlando, Florida, gunman who killed 49 people last year. Salman was later arrested and charged with aiding and abetting terrorism and obstructing justice. There were no immediate, obvious indications that Danley would fit the same bill, the person familiar with the case said, though they stressed that the investigation was still early. Investigators still have to run down any potential leads Danley may provide. Given how little has emerged in Paddock’s past that could foreshadow the attack, the “best lead is through this girlfriend,” said Sen. Dean Heller, R-Nev., who has been briefed by authorities. Authorities expressed bafflement at what could have motivated the rampage. FBI Deputy Director Andrew McCabe said Wednesday he is surprised they have not found evidence pointing to the gunman’s motive yet. So far, he said, investigators have not had any problems accessing the gunman’s computer or electronic devices. Amid a backdrop of anguish and questions, President Trump on Wednesday headed to Las Vegas to visit with survivors of the attack and law enforcement personnel. He echoed authorities in saying that they have not identified a motive. Trump declined to speak about gun violence in America during his remarks. When he appeared with the sheriff and other officials, Trump said he was praying for the recovery of those injured, noting those in law enforcement particularly. Piece by piece, investigators have put together a profile of Paddock – a retired accountant – making meticulous preparations for the moment when he smashed a plate-glass window in the 32nd floor of his hotel room and opened fire with a weapon, apparently modified to spew bullets with the split-second speed of an automatic rifle. As he fired round after round during an 11-minute stretch from a suite at the Mandalay Bay, Paddock used multiple video cameras to keep an eye out for police storming his hotel room, according to Clark County Sheriff Joe Lombardo. Cameras were stashed in the suite’s peephole and in the hallway. “It was preplanned, extensively, and I’m pretty sure that he evaluated everything that he did in his actions, which is troublesome,” Lombardo said Tuesday. In addition to guns found in the suite, investigators later found another 26 guns at two other properties in Nevada, as well as collections of ammunition and a chemical that can be used to make bombs. Paddock also had substantial ammunition in the room, with clips containing between 60 and 100 rounds, Snyder said. During a news briefing a day earlier, Snyder said Paddock had purchased shotguns, handguns and rifles in Nevada, Utah, California and Texas. She also said that inside Paddock’s suite, authorities found a dozen “bump” stocks that can enable guns to fire bullets at a more rapid clip. Until carrying out the massacre Sunday night, Paddock had no criminal history himself. He was known to gamble frequently and extensively. 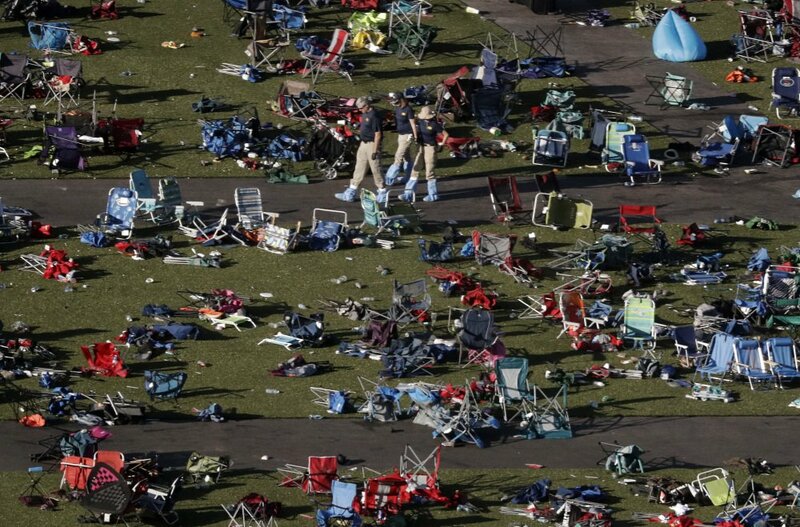 People close to the investigation also said that in the weeks before the attack, Paddock transferred a large amount of money – close to $100,000 – to someone in the Philippines, possibly his girlfriend. The significance of that development was not immediately clear, though investigators said they were interested in probing Paddock’s finances and his avid interest in high-stakes gambling. 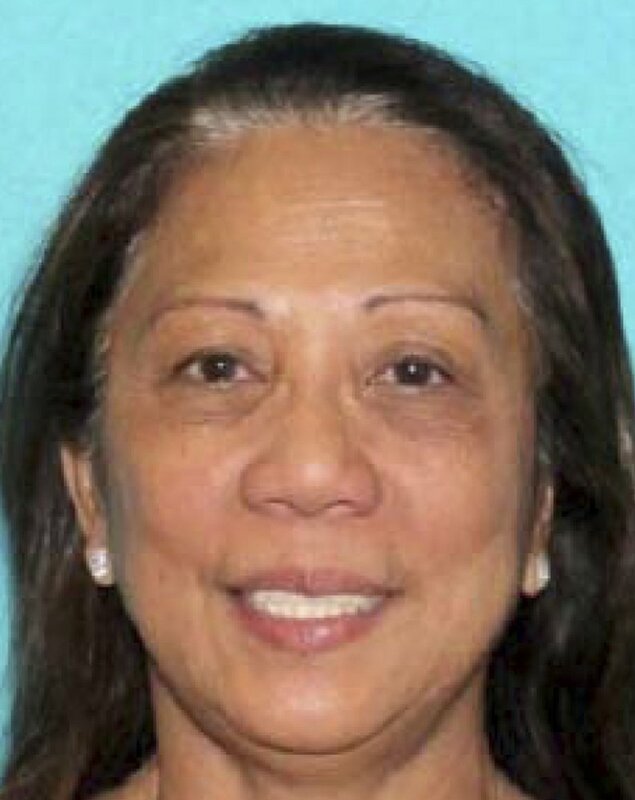 Danley’s sister, interviewed by Australia’s Channel 7, suggested that Paddock had arranged Danley’s trip to visit her homeland to keep her from undermining the attack plans.